No matter what washer fluid you pick, make sure you have plenty of it in your vehicle. Our pros at Advantage Auto Repair & Transmisson can top off your levels with the right kind of fluid. That's also a good reminder to have your windshield washer system working properly. Your technician can check not only the washers but the wiper blades and motor to make sure all are in top condition. The worst time you can discover it is usually when you need it most. Wiper blades are critically important to Tucson drivers for good driving visibility and safety. When it’s time to replace your wiper blades, there are a number of different wiper blade designs and grades. Tucson drivers should always use at least the design or grade that came with their vehicle. If you live in AZ where there is a lot of wet weather, flying insects, or you do a lot of highway driving, you may want to upgrade to a more advanced design or premium quality wiper blade. Your friendly and professional Advantage Auto Repair & Transmisson service advisor can share the options available for your vehicle and help you decide which wiper blades are optimal for you. If you're gonna drive around the Tucson area, you've got to be able to see! So having a good set of windshield wipers is extremely important. We've all experienced the frustration and fear of not being able to see clearly during a storm or when our windshield is just dirty. You really ought to replace your wiper blades twice a year; in the spring and the fall. If it's going to be a particularly harsh winter in AZ, you may even want to get special winter blades in the fall. Winter blades are designed to resist freezing. Replace worn blades right away. Our professionals at Advantage Auto Repair & Transmisson can provide you with a quality replacement blade. They cost about the same as they would at the store, but installation is included at Advantage Auto Repair & Transmisson in Tucson. Of course you also need windshield washer fluid to help your blades do their work. Even though Advantage Auto Repair & Transmisson will top off the washer fluid with a full service oil change, it is a good idea to have some extra fluid at home, or in the car if you are on a long trip. 90% of our driving decisions are based on vision. Anything that impedes your vision can affect your driving safety – including a dirty windshield. In that sense, your wiper blades are an important safety system. Most Tucson drivers will wait until their wipers have failed before they replace them. Then they find themselves in a driving situation around AZ when they really need forward visibility only to discover that their wipers are worn or maybe even torn and can’t clear snow or rain from the windshield. 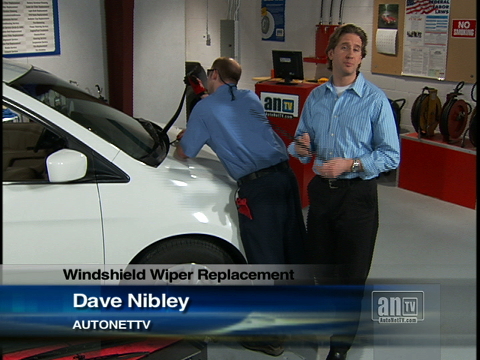 As an important safety system, wiper blades should be replaced BEFORE they fail. Test your wipers at least once a month. If they are not doing the job, your friendly and professional Advantage Auto Repair & Transmisson service advisor can replace them for you. There are several important factors that go into how often Tucson drivers should replace their wiper blades. Of course, the more you use your wipers, the faster the blades will wear out – especially if you use them on an icy windshield. Whether it’s a lot of bugs and road grime from AZ freeway driving or lots of wet weather – your blades get a work out and start to wear. But your wiper blades break down even when they aren’t used frequently. They are damaged by sunlight and temperature changes as well. The rubber in the blades can dry out and crack and eventually fall apart. Check your wipers: If they’re not doing their important job, have them replaced at Advantage Auto Repair & Transmisson in Tucson. Talk to your Advantage Auto Repair & Transmisson service advisor about how you drive - we can counsel you on the optimal blades for your needs.